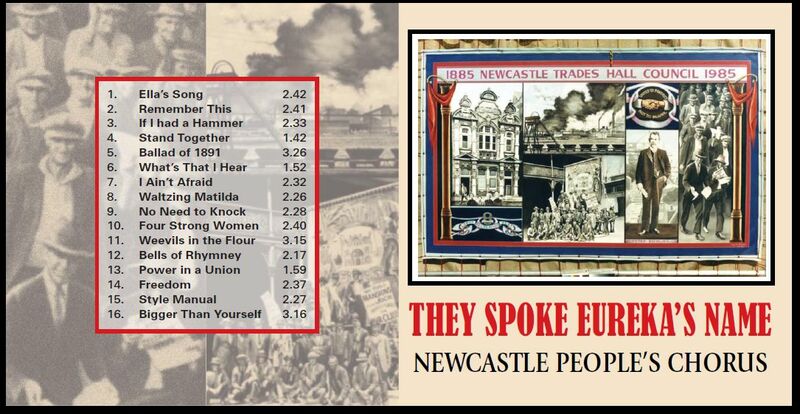 The Newcastle People's Chorus produced a CD in 2010 which is the third recording in our history. More information about the previous recordings will be available in the near future. This CD is dedicated to solidarity with unions and to all those struggling for peace and social justice. The cost of this CD is $15 plus $5 postage and handling within Australia. If you wish to purchase a copy, send a cheque/money order to made out to the Newcastle People's Chorus to PO Box 45, Hamilton, NSW, 2303. If you're wanting to buy some for your friends or union, you may like to combine your order and purchase 5 copies to receive one free!